Adidas campaign features London-based Sophie Christabel. Adidas is hoping to connect to urban women around the world by kickstarting a movement that it is calling "Energy Running," through an influencer-supported advertising and events drive. "Energy Running is about more than lacing up and logging miles," said Adrian Leek, general manager of Adidas Running. "It's a sport-driven social movement that's just as much about putting a smile on your face and earning a like on your feed as it is about breaking a sweat and beating your best." The brand has assembled a number of influential, but not necessarily professional, female runners from cities including Tokyo, New York, Moscow and Rio de Janeiro. From New York, it has picked Lindsey Calla, who writes the Calla in Motion blog. 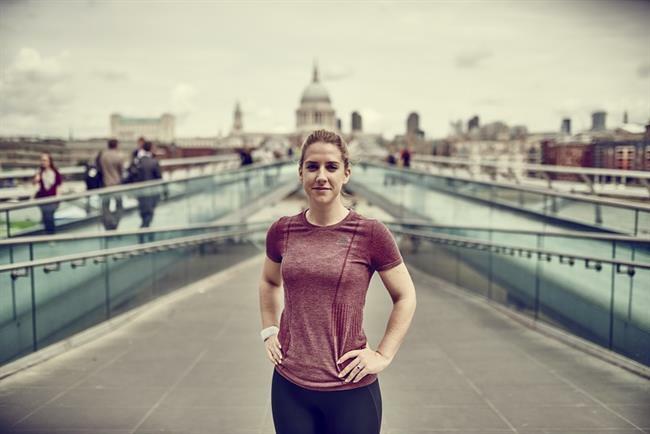 "The female runners we focus on are inspired by socially relevant peers they can easily relate to and aspire to be like, which is why influencers will play such a significant role in our marketing campaigns going forward," Leek said. To kick off the campaign, Adidas has released an online film called "This is Energy Running," which features the influencers running alongside professional sprinters Tori Bowie of the US and Jamaican Warren Weir. Different edits of the film highlighting each runner will be distributed across YouTube, Instagram, Facebook and Twitter. The campaign will continue with Energy Running events in key cities including Shanghai, Moscow, New York, London, Berlin and Rio de Janeiro. Can Reebok finally shape up?